A bill authored and introduced by State Representative Mike D’Agostino (D-Hamden) that will further protect the State’s tree canopy from unnecessary pruning and removal in cities and towns, signed into law by Governor Dannel P. Malloy, becomes effective on October 1, 2016. The bill, HB 5150, was passed by the full General Assembly earlier this year and included a provision that expanded the options for removal of wood generated by tree work, including allowing residents to take wood for their use (but still requiring the utilities to remove any remaining debris). 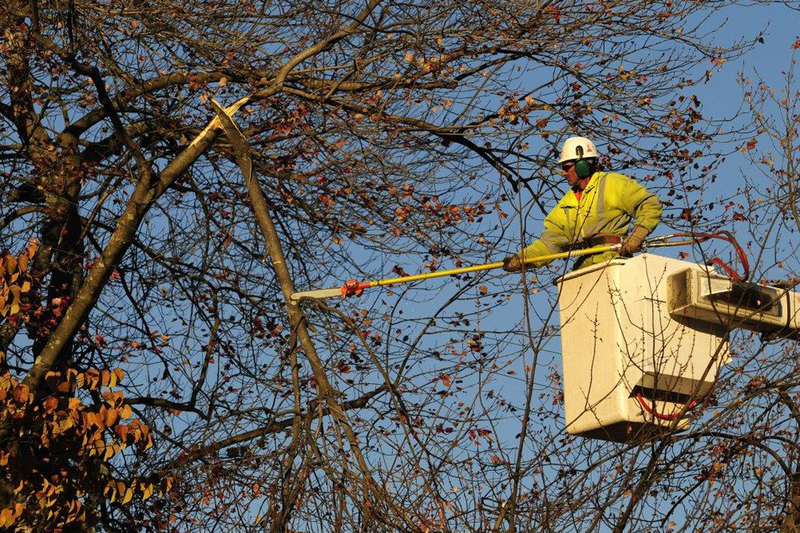 The main purpose of the bill-to require utilities to provide advance notice to towns and tree wardens of the utilities’ planned tree trimming schedule each year-remains intact. Requires, by January 31, 2017, utilities intending to conduct vegetation management to begin annually providing the tree warden or chief elected official of the town or borough where the work will occur, (1) a plan with the proposed roads or areas for vegetation management activity and (2) an estimated schedule for the work. Within 14 days after receiving the plan, the town or borough must make it publicly available for the rest of the year, either electronically or by some other method. Requires utilities to remove any debris from vegetation management activities conducted in “utility protection zones” (within eight feet of either side of their wires and anywhere above or below them). The requirement applies to projects that a utility requests and receives approval from a tree warden or other applicable authority. The bill allows tree wardens to post notices of proposed shrub removal or pruning on groups of shrubs, instead of each individual shrub.